Texas Online Radio: Coastal Point Energy ~ Texas company to harvest the winds of the Gulf. Coastal Point Energy ~ Texas company to harvest the winds of the Gulf. With some five gigawatts (GW) of offshore wind energy projects in the works, the long-promised dawn of offshore wind in America could be at hand. And although the most publicized development efforts are centered in the Atlantic Coast and Great Lakes regions, it may actually be the Lone Star State that wins ‘first in the water’ honors. 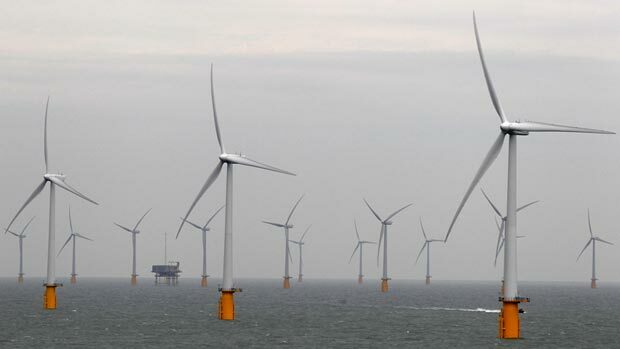 Coastal Point Energy, a Texas wind development firm, is on pace to purchase and install the first offshore wind turbine in America by the end of 2011, edging out other 'first-mover' rivals in Massachusetts' Nantucket Sound and Ohio's Lake Erie. 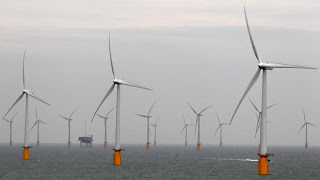 The company has already secured the necessary permits to construct a three megawatt (MW) "test" turbine by the end of 2011, which the company hopes will be the first stage of a 300 MW wind park located 8.5 miles off the coast of Galveston. ....read the whole story.